Leon Narbey is one of New Zealand's most acclaimed directors of photography, as well as the man behind classic goldmining drama Illustrious Energy. Narbey spent his early years in the Waikato, in landscapes which now remind him of classic film Vigil. He began drawing from an early age. "My mother influenced me", he told the Listener, "not that she was an artist, but just her appreciation of nature. Being aware of things. Learning to see." Narbey's interest in cinema grew during a spell as a cinema usher while he was a teen. At Elam Art School, he specialised in sculpture, and developed an enduring interest in light and shadow. Many of his artworks were installations, using changing colours and light sources to alter the look of a room. As Roger Horrocks has written, Narbey "first turned to film merely as a way of documenting his installations but found that colour and lighting needed to be rethought in film terms." Later Narbey created a film from footage of a large installation which he designed as the opening exhibition at New Plymouth's Govett-Brewster Art Gallery. Beginning in 1972, Narbey lectured in sculpture and mixed media at Canterbury University, and helped establish the Christchurch branch of filmmaking co-op Alternative Cinema. Tiring of the small audience for experimental art and film, he then joined the NZ Broadcasting Corporation as a news/current affairs cameraman. The experience allowed Narbey to hone his technical skills, and in the mid 70s he began to branch out into more political filmmaking. Narbey shot Geoff Steven doco Te Matakite o Aotearoa, which documents the 1975 Māori land hikoi led by Whina Cooper; in 1977 he left the state broadcaster to work with Steven on a series of films for NZ Railways. In this period he was also working on a number of documentaries with Merata Mita and Gerd Pohlmann, including the seminal Bastion Point - Day 507, which he later described as "one of the most important films I've worked on". Much of this early work — covering protest, strikes, and Māori protocol — helped establish Narbey's reputation for being able to film in demanding situations. In 1979 Narbey and Steven travelled to China for a series of ambitious TV documentaries, notably Gung Ho:Rewi Alley of China and The Humble Force. Their partnership had already provided Narbey's first opportunity to photograph a feature film, with Steven's small town critique Skin Deep (1978), shot in Raetihi and utilising many long takes. They collaborated again for Steven's third feature Strata (1983), which featured arresting imagery of the volcanic plateau. In this period Narbey also worked on after-dark car tale Queen Street and sleekly-shot feature Other Halves. The cross-cultural love story is set in Auckland, and Narbey remembers it as "one of the first films where we were attempting to make the city as dynamic as possible." 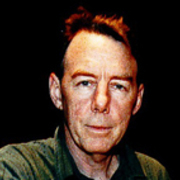 Narbey went on to direct the feature films Illustrious Energy (1987) and The Footstep Man (1992), both of which he co-wrote with Martin Edmond. Narbey wanted to "feel confident in what I was doing and technically confident before I ventured into directing". Much acclaimed, Illustrious Energy provides a poetic evocation of the Chinese settler experience in the Central Otago landscape during the Gold Rush. North and South reviewer Brian McDonnell found it “faultless as a work of art”. The film won eight national and two international awards, but for many years, following the collapse of company Mirage Entertainment, prints were few in number, and difficult to access; Illustrious Energy was later restored in time for screenings at the 2011 round of NZ Film Festivals. The Footstep Man (1992) involved a sound effects man (Brit actor Steven Grives) starting to loose touch with reality while working on a film featuring French painter Henri de Toulouse-Lautrec and his muse. Lautrec was played by Michael Hurst, while the object of both Lautrec and the soundman's obsession was portrayed by Jennifer Ward-Lealand. The ambitious film within a film won praise for its French scenes and insights into the film-making process, but less so for its wrap-up. None-the-less The Footstep Man was nominated for eight NZ Film Awards, including best film and best director (it won for editing, and Allen Guilford's cinematography). Narbey himself would win the Best Cinematography Award the following year for his lively work on melodrama Desperate Remedies. The first Kiwi feature to be shot entirely in a studio, Desperate features highly mobile camerawork, vibrant colour schemes and many sets constructed from challenging materials like glass and mirrors. Narbey also won gongs for Harry Sinclair's second feature, rural romance The Price of Milk and has worked on the first four films directed by Toa Fraser: No. 2 (2006), based on Fraser's play, English-shot shaggy dog tale Dean Spanley, ballet Giselle and te reo action movie The Dead Lands. Leon Narbey was also director of photography on 2002 box office smash Whale Rider, directed by Niki Caro. Narbey's work on the film, a kind of restrained naturalism, won him a feature in American Cinematographer, a rare event for a Kiwi working at home. Whale Rider won audience awards at multiple festivals including Toronto, Sundance, and Rotterdam; the BAFTA best children's film award, and the best foreign film at the Independent Spirit Awards. Narbey's numerous short film credits include being director of photography on Front Lawn shorts Lounge Bar and Linda's Body, Brad McGann's Possum, I'm So Lonesome I Could Cry, Flying, Snap, Peter Wells' Napier-set Newest City on the Globe, and Garth Maxwell's 50 minute love story Beyond Gravity. Possum received an award for its cinematography at the 1998 Athens Short Film Festival, and Best Cinematography in a Short Drama at the 1998 NZ Film and TV Awards. In this period Narbey was also shooting tele-features featuring detective John Duggan for television. Narbey has also shot many documentaries involving the visual arts, including Colin McCahon: I Am, Flip & Two Twisters, Marti: The Passionate Eye, and The Man in the Hat. Aside from his early experimental films and the two feature films, his work as director includes half-hour documentary Man of the Trees, about English conservationist and tree-hugger Richard St Barbe Baker — which sold to 10 countries — and 1996 TV doco Visible Evidence, in which Kiwi documentary photographers discuss their work. Narbey continues to show his versatility, with director of photography credits on big-budget, noir-esque vampire film Perfect Creature, Topp Twins documentary Untouchable Girls and acclaimed Samoan language feature The Orator. In 2007 Helen Martin wrote a chapter about Narbey's work for the book New Zealand Filmmakers. In December 2014 Narbey was presented with a special NZ Film Award for Services to Cinema. - This profile is partly adapted from Duncan Petrie's book, Shot in New Zealand.